If you’re a mint fan and are looking for a minty flavor that will wow you, our Logic Smoke Strong Mint E-liquid is the one for you. It really packs a punch with its strong minty flavor. It's a great all day vape alone, or will kick up the flavor of many other e-liquid flavors. 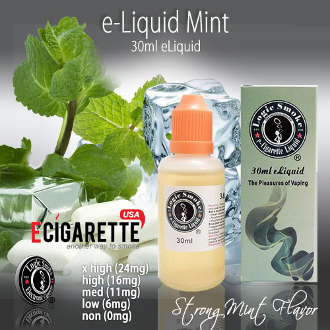 Buy a bottle of our Strong Mint E-liquid from Logic Smoke and wake up your taste buds.